Hamster Club :: Celebrating Hamster Club's 2nd birthday! Celebrating Hamster Club's 2nd birthday! We are happy to announce that Hamster-Club.com is now 2 years old! During the last couple of years, Hamster-Club.com grew more and gave more hamster information, hamster newsletters, hamster videos, hamster games and hamster articles! 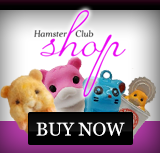 Our hamster-club.com database also grew larger with the vast selection of visitors who enjoy this hamster site! Also with our new hamster book's project, the hamster club even made a greater step towards providing more accurate hamster information worldwide! 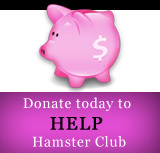 We wish to thank you all hamster-club.com visitors for your support. Feel free to e-mail me on nadia@hamster-club.com for any questions or hamster concerns.